The Little Kid Kimono Set is a free pattern in size 0-3 months only. 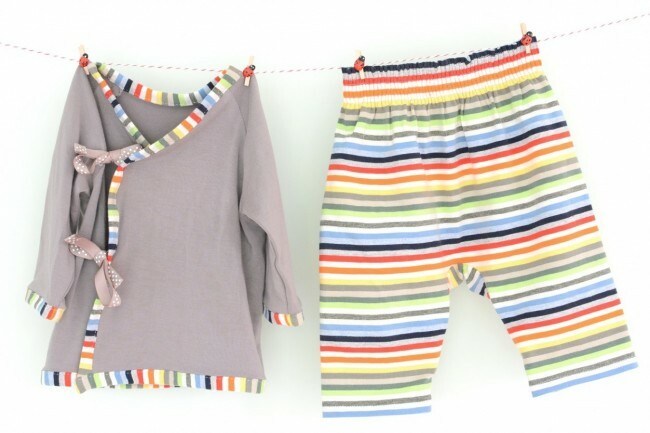 The top and trousers make an adorable set but can also be used as versatile separates, perfect for your own baby or to make for a gift. 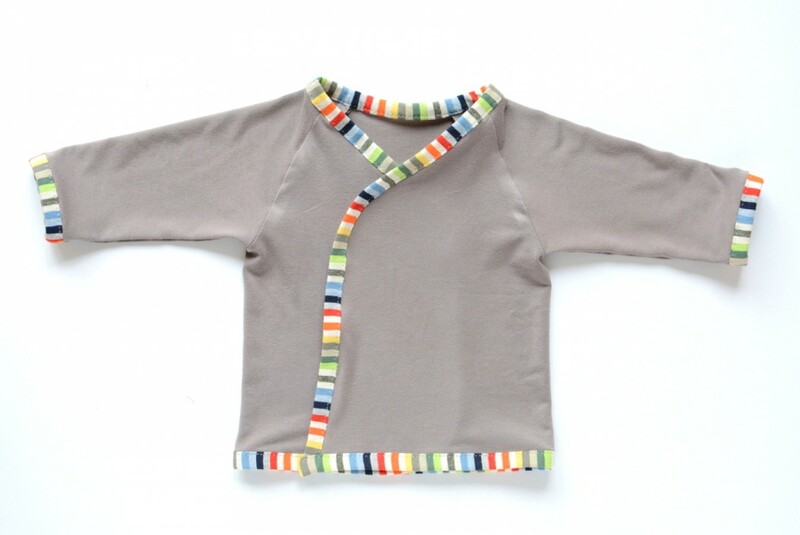 The cosy kimono top features gently curving raglan sleeves, ribbon ties and contrast binding. 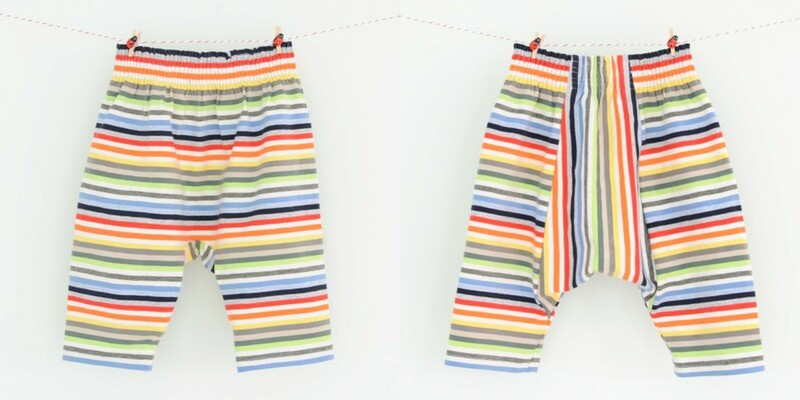 The teeny tiny trousers have a baggy, relaxed fit. A shirred waist provides comfort for a range of waist sizes while the bum panel on the back gives an chance to mix in contrast fabrics. With only a few seams to sew these are very quick to make. 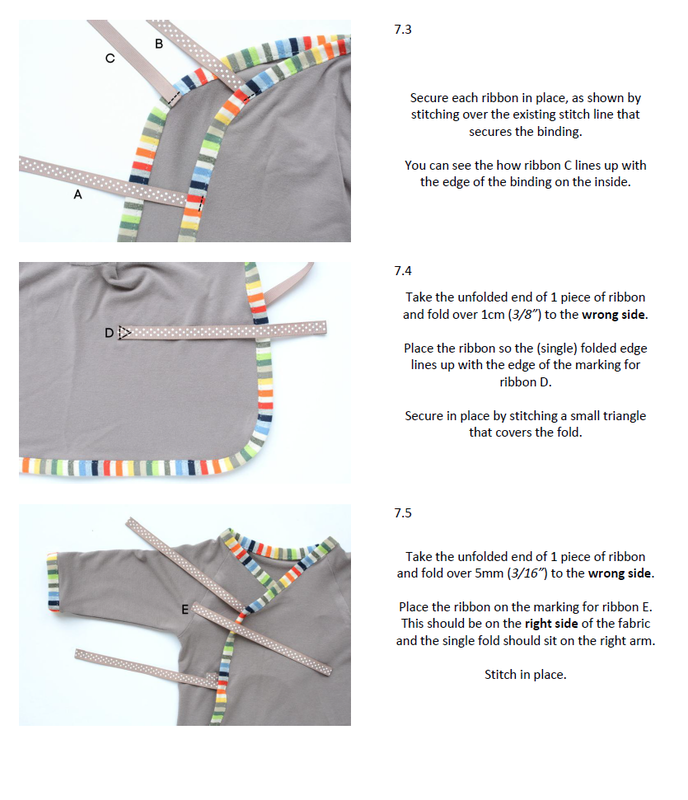 FREE download - Click Add to Basket, then Checkout, create a free account and download your pattern. 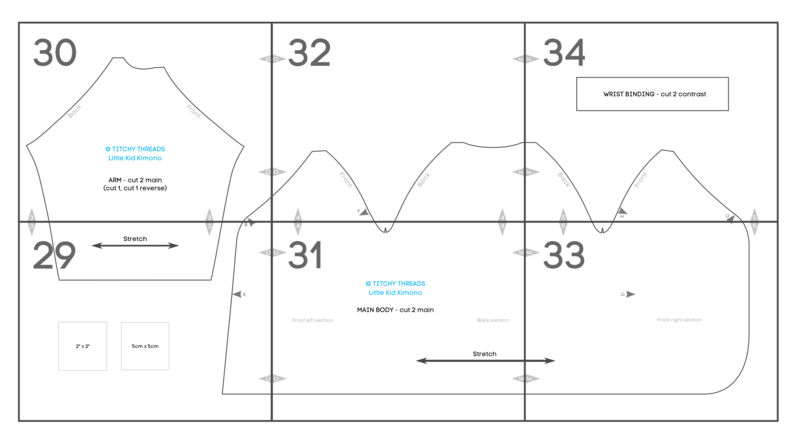 10 pages of full size digitally drafted pattern pieces with seam allowance included. 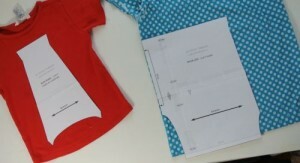 Pieces can be printed in colour or black and white. Prints on both Letter and A4 paper. Detailed step by step instructions with full colour photos. 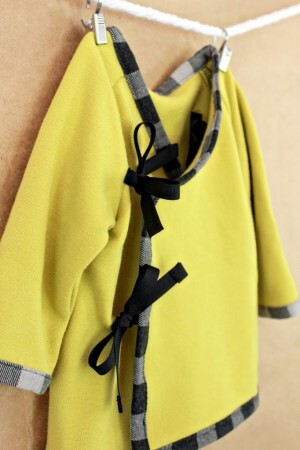 Includes lots of tips for sewing with knits. Serger not required but tips included for those that own one. Metric and imperial measurements included throughout. 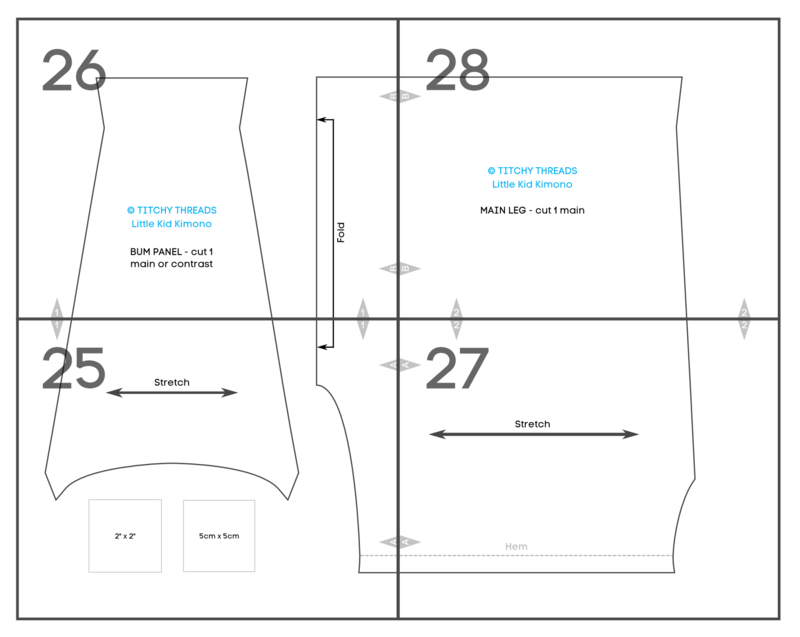 For personal use only - please contact us if you want to sell garments made with this pattern. Glitter and Wit First up: this super cute teeny tiny knit kimono set! I’d never sewn much with knits before this project. I don’t know what I was so afraid of; it looks great and was super easy! Counterpane Laura includes a gazillion tips on sewing with knits, making this a great pattern for a beginning sewer, or a seasoned sewer new to knits. She also includes options for those sewing with and without a serger, which is always helpful. Honestly, it seems like Laura thought of everything. She even used striped knit material for her pattern sample, which made fabric placement easy to follow when it came to the coordinating panel in the rear. So helpful!